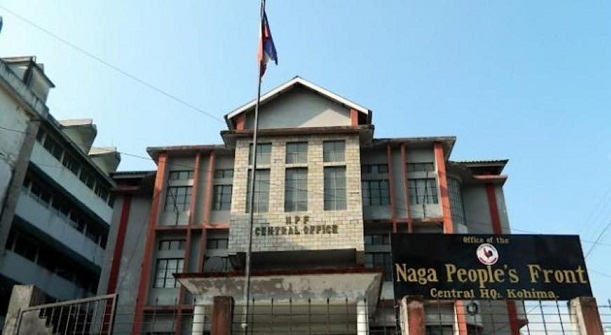 The NPF said the Naga people cannot be taken for a ride or be convinced by pointless arguments produced by the NDPP defending chief minister Neiphiu Rio. In a release on Monday evening, the Opposition party reminded the NDPP that it is least bothered about Rio as an individual but it is expected of the chief minister to make his stand clear on important issues such as integration of Naga contiguous areas and Citizenship Amendment Bill, 2016. The NPF said the NDPP once again tried to cover up the matter by claiming that it was spreading ‘lies and propaganda’ despite the media disseminating the interaction with the chief minister in New Delhi. The Opposition party ridiculed NDPP for defending the indefensible statement of the chief minister on Naga integration issue. The release said the report which went viral across various section of the media and under public domain is a standing witness to the subject and it is for the Naga people to judge whether the NPF is reiterating and asserting the legitimate rights of the Nagas or spreading ‘lies and propaganda’ as alleged. The party further said not even a one-year-old NDPP’s very survival as a political party has come under scanner of the Election Commission of India for committing “perjury” while trying to get it registered under the commission. It has no moral right to talk on the Naga political issue vis-à-vis integration of Naga contiguous areas.